taganrogcity.com | Andrey Lisitsky Appointed As Taganrog City Manager. October 29, 2016: two weeks from the endorsement of Ms. Inna Titarenko as Chairwoman and City Executive, Taganrog City Council (Duma) appointed Mr. Andrey Lisitsky as Taganrog's city manager - chief administrative officer to run the executive branch of the city. 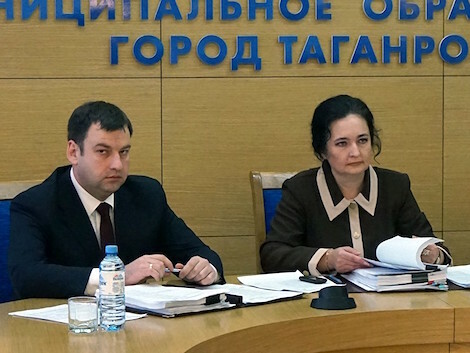 After the elimination of the mayor's post from the City Charter, chairman of Taganrog City Council was to become City Executive in place of the mayor, and the city manager is from now on to be endorsed for the term of city council's office. The local government reform will be completed on November 1, 2016 when the new-elect Taganrog City Manager Andrey Lisitsky assumes his office. Earlier in September a competition to fill the city manager's vacancy was declared by the local Duma and a selection board made of Taganrog City Council's aldermen and Rostov Oblast Governor's authorized delegates accepted documentation from the candidates. The competition was held October 21, 2016 to select two out of five nominees for the office - the acting First Deputy City Manager Andrey Lisitsky and Gukovo City Manager Yevgeny Yakovlev. October 28, 2016 the final decision was made - the selection board's chairman, First Deputy Governor Alexander Grebenshikov announced the results: Andrey Lisitsky received 57 points out of 60 possible, while Yevgeniy Yakovlev - 49 points. However both choices were submitted to Taganrog City Council as candidates for the city manager's office. The aldermen decided to vote by show of hands and unanimously elected Mr. Andrey Vladimirovich Lisitsky as Taganrog City Manager until September 2019.